Syria's former al-Qaeda affiliate said it had used a shoulder-fired weapon to down the plane as it flew low over the opposition-held town of Saraqeb. 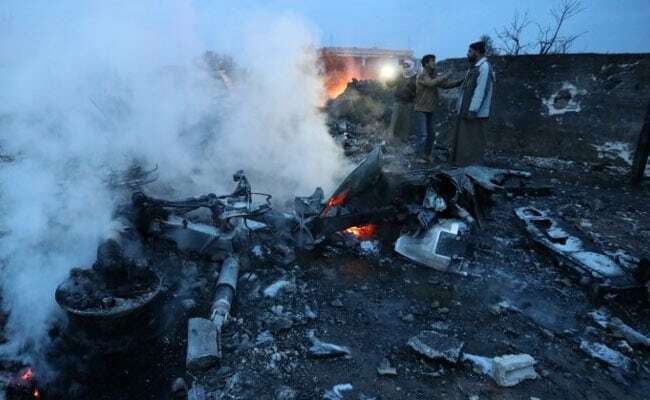 Syria's former al-Qaida affiliate claimed responsibility Saturday for the downing of a Russian warplane in northern Syria, apparently using a surface-to-air missile. The pilot was killed after he ejected and exchanged gunfire with militants on the ground, the Russian Defense Ministry and a monitoring group said. Hayat Tahrir al-Sham, or HTS, a powerful rebel alliance that publicly split from al-Qaida last year, said it had used a man-portable antiaircraft system to shoot down the Su-25 fighter jet as it flew low over the opposition-held town of Saraqeb. That claim was echoed by Russia's Interfax news agency, quoting the Defense Ministry, as well as the Britain-based Syrian Observatory for Human Rights. The incident could raise tensions between Russia and Turkey, which is monitoring a so-called "de-escalation zone" in the northern province of Idlib as part of an agreement made during Syrian peace talks in the Kazakh capital, Astana. It also raises questions about the source of the apparent MANPADS, a weapon for which Syria's rebels have repeatedly pleaded from their international backers. The United States in particular has been strongly opposed, fearing that antiaircraft weapons could fall into the hands of the country's extremist groups. "The United States has never provided MANPAD missiles to any group in Syria, and we are deeply concerned that such weapons are being used," she said. Saraqeb has come under heavy bombardment from Russian and Syrian warplanes in recent days as pro-government forces try to recapture a strategic highway linking Damascus to Aleppo. The White Helmets civil defense group said Saturday that seven civilians had been killed in at least 25 strikes on largely residential areas, some of them using barrel bombs. 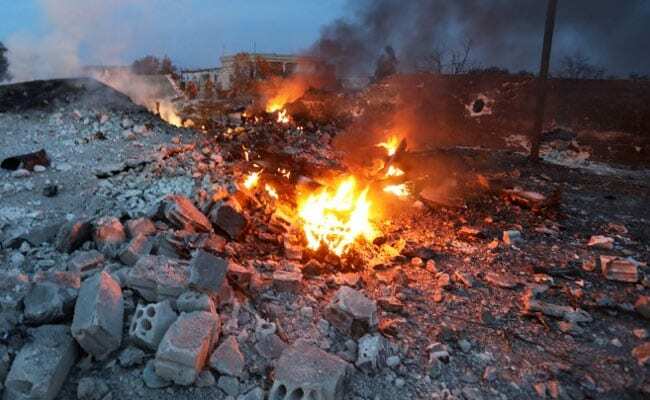 In the hours after the Russian jet was downed, Moscow also claimed to have killed more than 30 militants in the area, Interfax reported. The agency quoted the defense ministry as saying it used "precision-guided weapons" to carry out the strike, but without giving details. The use of MANPADS in a province where Turkish forces are nominally present could also anger Russia. The two countries have improved ties and cooperated in Syria in recent months, but relations hit an all-time low in 2015, when Turkey, a longtime supporter of the country's rebels, also shot down a Russian warplane inside Syria. Turkey set up observation points in Idlib last year, ostensibly to monitor the fighting between the rebels and government forces, but it has also been accused of fostering closer ties with HTS. Moscow entered Syria's civil war in 2015 on the side of President Bashar Assad. And its intervention turned the tide of the brutal war, allowing Syria's government to recapture the city of Aleppo from the rebels and beat back militants in other parts of the country. But Idlib remains under militant control, and HTS exercises significant influence even over areas it does not formally hold. "Mahmoud Turkmani, the military commander of the HTS air defence battalion, managed to shoot down a military plane by an anti-aircraft MANPADS in the sky of Saraqeb in the Idlib countryside in late afternoon today," Ebaa News, the unofficial media outlet used by HTS, reported Saturday. "That is the least revenge we can offer to our people and those occupiers should know that our sky is not a picnic," Mahmoud reportedly said. Idlib province is also home to more than a million displaced people from around Syria, and renewed fighting has pushed close to a quarter of a million residents to flee again since mid-December, cramming into already-packed houses and tented settlements across the region. Despite repeated appeals to their international backers, rebel groups in Syria have never had a sustained supply of MANPADS. But they have occasionally used individual weapons captured from the battlefield. Rebels forces have shot down Syrian fighter jets and other Russian military aircraft. In August 2016, a Russian transport helicopter was shot down as it was flying over Saraqeb, killing all five people aboard. 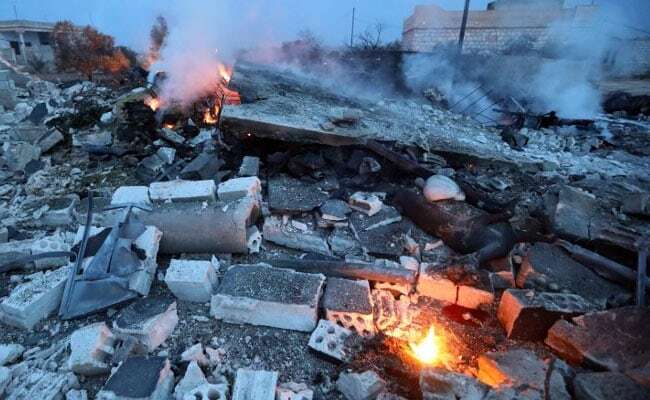 Videos circulating online showed the alleged crash site of the fighter jet in Idlib's Saraqeb, which the United Nations said has recently suffered "heavy shelling and aerial bombardment." According to the U.N. Office for the Coordination of Humanitarian Affairs, an airstrike on a potato market there earlier this week killed at least 16 people, and the town's hospital was also attacked. 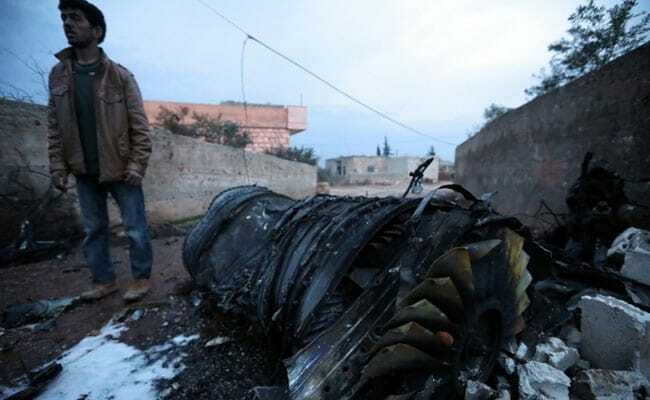 Both Russia and the Britain-based Syrian Observatory for Human Rights said that the pilot Saturday was killed after exchanging fire with the rebels. 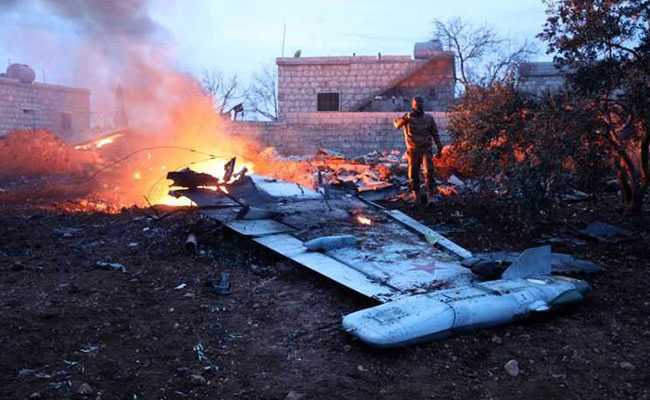 He was able to communicate that he had ejected from the aircraft in an area held by HTS, but later "died in a fight with the terrorists," Russia's Defense Ministry said. The ministry also said it was working with Turkey to bring the pilot's body home. Syria's war has raged for seven years, and half a million people have been killed. The conflict has sucked in world powers - like Russia - but also the United States and Iran. Loveluck and Zakaria Zakaria reported from Kilis, Turkey. Andrew Roth in Moscow also contributed to this report.